Seomra Ranga will be participating in the Movember fundraising campaign to spark conversation and raise vital funds for men’s health programmes. The Movember Foundation challenges men to grow moustaches during Movember (formerly known as November) in order to help with this fundraising drive. The Movember community has raised €409 million to date and funded over 800 programmes in 21 countries. This work is saving and improving the lives of men affected by prostate cancer, testicular cancer and mental health problems. In Ireland, The Irish Cancer Society, using funds raised through the Movember Community, has undertaken a number of initiatives which will make real differences to the lives of men with prostate cancer and their families. 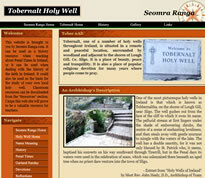 Seomra Ranga has been online since 2007 and to date has provided more than 3,500 resources on the site. These resources are all free to download and many teachers across the country hasve benefitted from the service that this website provides. It’s now payback time!! I’m looking for a donation of at least €2 from anybody who has ever used the site or downloaded a free resource from the site. Given that during a particular 30-day period during September/October there were 82,000 visits to the site, we have the potential to collectively make a substantial donation to Movember/Irish Cancer Society. 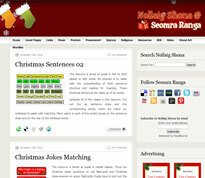 To make a donation, simply visit the Seomra Ranga Movember Page and make your donation. If we can raise a modest €1,000, I will donate my fee and travelling expenses from a Twitter course I am delivering during the month. Here’s hoping that the education community will put its best foot forward and show its support to Movember on Seomra Ranga.